Six months back, 1-year-old Dhanjit Boro, son of Guhin Boro, was diagnosed with a severe form of Retinal Cancer and has a tumor inside both his eyes. Retinoblastoma is a cancer that starts in the retina, the very back part of the eye. It is the most common type of eye cancer in children. Dhanjit can only see through one eye and now he might lose that too. 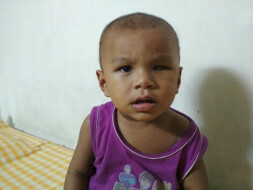 Since the cancer had affected his eye so severely he had to undergo a surgery to remove the left eye. But now his right eye is also causing him alot of pain and difficulty and he now needs to undergo treatment for his right eye before the cancer begins to spread to other parts of the body as well. His parents do not have the means to afford their baby boy's treatment. 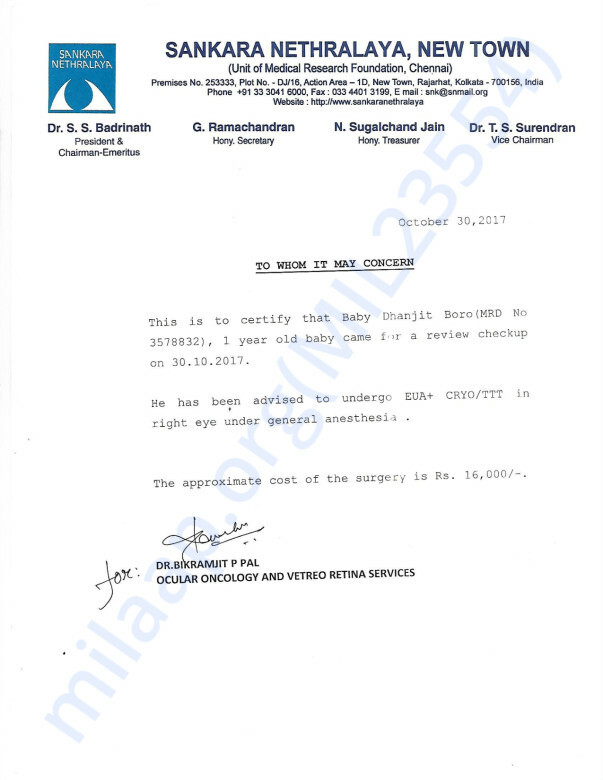 The total cost of the treatment is around 16000 Rs. Unfortunately, Gahin earns is a daily wage earner with a salary of just 3000 Rs. He does not have the means to fund his son's treatment and is scared he will lose his son to the cancer. 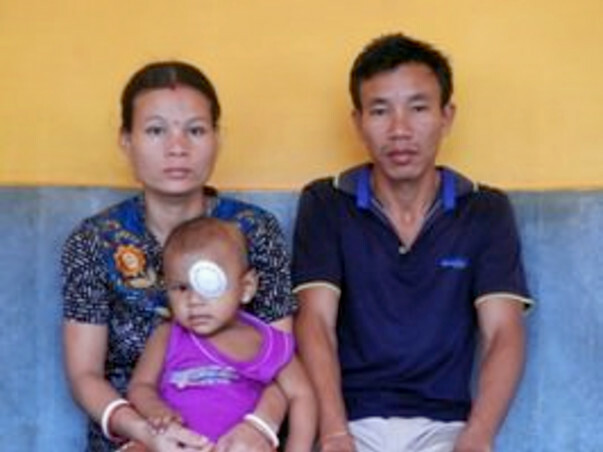 "His eye had completely swollen up and we had to remove the tumor. We thought things would get better but now it has affected his other eye as well. 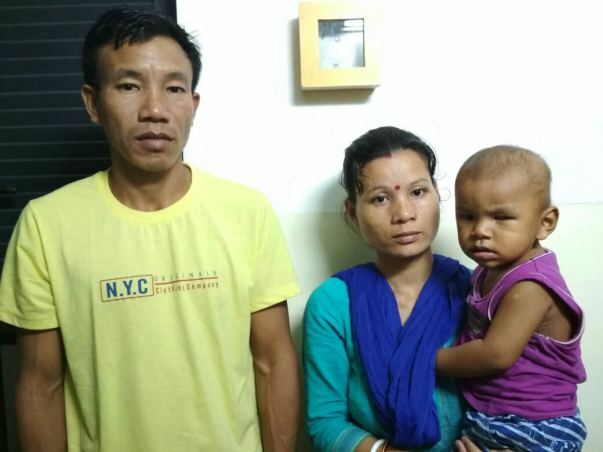 I am so worried that he will lose his eyesight if we don't treat him", says his heart broken mother"
Your contribution can give this baby the treatment he deserves. May Sai Bless You !